Scuba Swanie wrote: Based on the Weezle sizing chart the Medium Long is my size. Can I pay for the Extreme ML with PayPal and have you ship it to me? I would like to have it before February 3rd for my Catalina trip. If that works for you, let me know the total cost with shipping and your email for PayPal. Sounds great Steve!! I'll send you a PM. I can mail it today. Based on the Weezle sizing chart the Medium Long is my size. Can I pay for the Extreme ML with PayPal and have you ship it to me? I would like to have it before February 3rd for my Catalina trip. If that works for you, let me know the total cost with shipping and your email for PayPal. Scuba Swanie wrote: I won't be there on thursday, I am assisting with a drysuit cert dive at Les Davis. I looked at the Weezle website sizing chart, I would guess I am a Medium Long or a Large. I would love to test drive the Extreme Medium Long. Are you diving saturday? 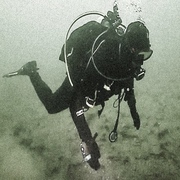 I won't be there on thursday, I am assisting with a drysuit cert dive at Les Davis. I looked at the Weezle website sizing chart, I would guess I am a Medium Long or a Large. I would love to test drive the Extreme Medium Long. Are you diving saturday? Scuba Swanie wrote: Thanks GH. I was afraid of that. I really don't mind having to buy another undergarment when I switch to the Tri-lam suit. I'm sure Jess won't mind either. Yelloweye just got his weezle and wears it under his Bare suit with no issues but not sure the exact one that he has? Will you be at ThThTh this week I can bring both of them for you to try on to see the difference and you can try diving with whichever one fits better if you want? I also have your NWDC shirt! Thanks GH. I was afraid of that. I really don't mind having to buy another undergarment when I switch to the Tri-lam suit. I'm sure Jess won't mind either. While Jess is certainly the one to ask about Weezle undergarments, there are also some more general considerations. First, thick neoprene drysuit a such as the D6 are normally worn with somewhat thinner layers underneath, as they provide insulation on their own. Second, shell suits will also usually have more room inside to accommodate thicker undergarments. It is therefore less likely that the same set of layers will work with both types of suits. I dive a Bare D6 Pro Neoprene drysuit and am usually warm enough but I have improved my air consumption. So that instead of diving for 40-45 minutes I am staying down for 55-65 minutes. By the time I am done, especially with the second dive, I am cold. I have been reading reviews of the weezle extreme and compact and think that one of these may be the answer. 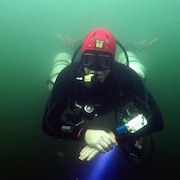 I will likely be moving to a Tri-lam drysuit in the next year and keep my Bare D6 as a backup so I would like to get an undergarment that would work both for the neoprene and also the tri-lam drysuit. Therefore the extreme might be the best choice, BUT I don't want to sweat when using the neoprene drysuit. What do you think, Jess? ?